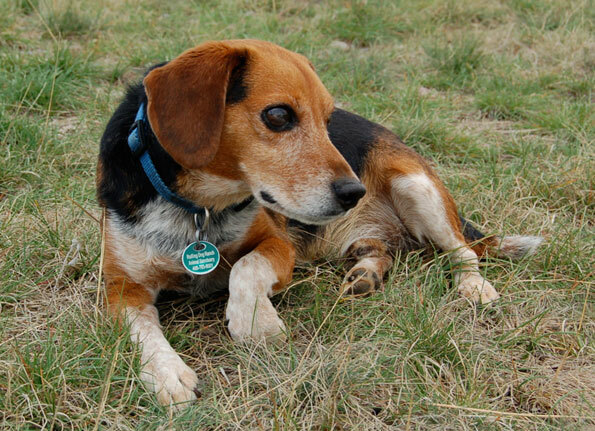 When the Atlanta rescue group first sent us the photo of a blind Beagle they asked us to take, we knew this was a dog in pain. Briggs’ eyes bulged, presumably from glaucoma. But then a video clip they sent showed him wobbling when he walked. We had seen plenty of blind dogs before, and plenty of wobblers, too, but never a?blind wobbler. We knew this dog needed our help. 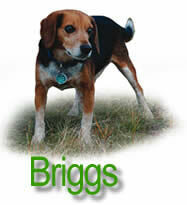 Our vet, Dr. Brenda Culver, found Briggs had both glaucoma and a kidney disease. More tests revealed the cause: Briggs also had Rocky Mountain spotted fever, a tick-borne disease he contracted in Georgia but was never treated for. Long-term, untreated cases can cause blindness, kidney problems and movement disorders hence his wobbliness. 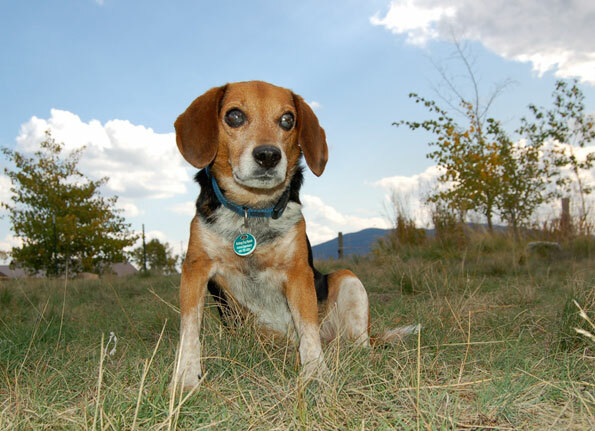 We successfully treated Briggs for all of his medical issues, and he is now pain-free. So whenever new females arrive at the ranch whether they’re old or young, it doesn’t matter he dashes about like mad, trying to introduce himself to them. In his mind he’s this compact hunk of a guy with a soft, courtly Southern manner. He can’t imagine why these gals aren’t drawn to him. 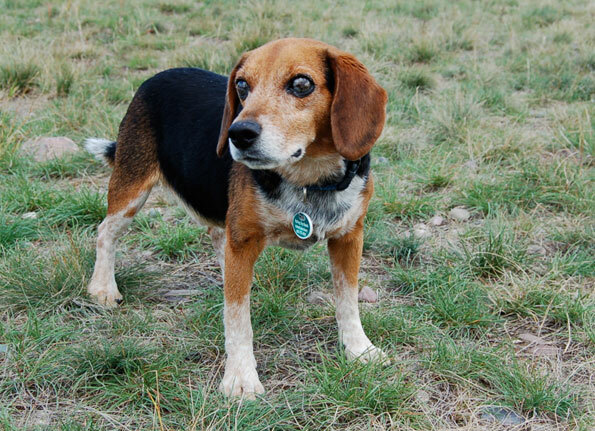 Alas, it turns out they aren’t attracted at all to a pint-sized Beagle with bulging, mottled eyes who wobbles out to greet them. The fact that Briggs can’t manage to stand still during the introduction suggests to them he has a drinking problem, though in reality it’s just the lingering effects of the spotted fever. But the end result is rather startling, and so the girls flee as soon as he shows up. But Briggs remains undaunted, and he figures that an animal sanctuary with a steady stream of new female residents is the best place for a ladies’ man like him to be anyway. The right gal will show up one day. 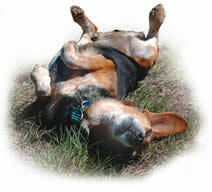 Until then, he satisfies himself with a good roll in the sunshine.